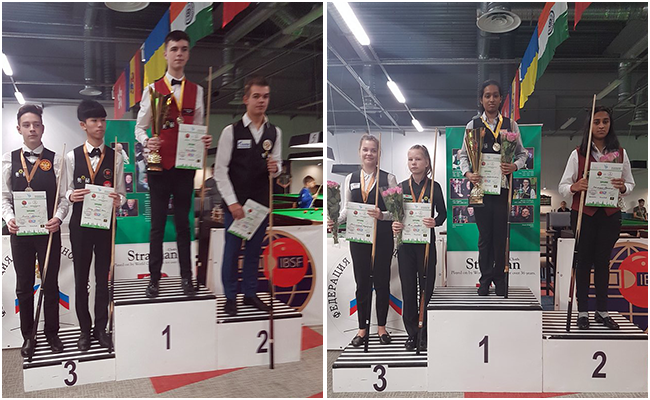 Federation of Billiards Sports of Russia was the host of this first ever World Open championships for Under-16 boys and girls which turned into a remarkable success with total participation of 73 cueists from all across the world. 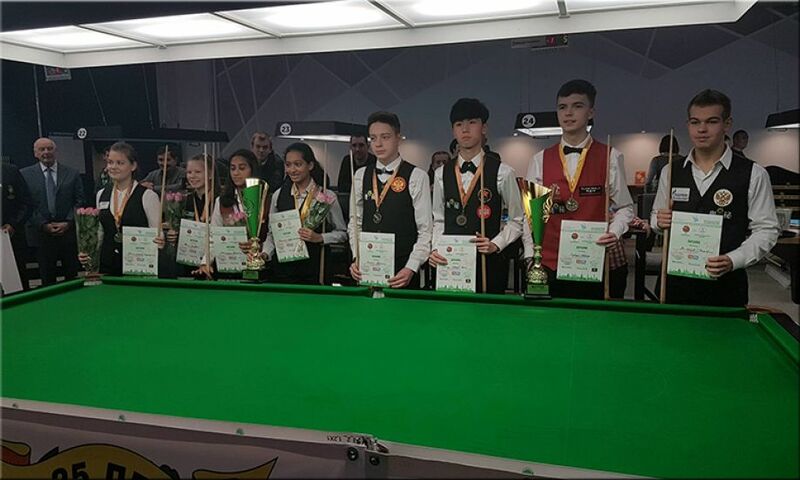 Wales player Dylan Emery, after obtaining 8th seed for knockout stage played splendid game of snooker. He ousted Grigorii Pakhomov of Russia (3-0); Digvijay Kadian of India (3-2); Kreishh Gurbaxani of India (4-0); Andrei Karasov of Russia (4-2) to enter in the final where he knocked out 14th seed Mikhail Terekhov of Russia 4-1 to claim the title. In Girls category, 2nd seed Anupama Ramachandran of India knocked out her compatriot and top seed Keerthana Pandian 3-1 to become World Open Under-16 champion. Before that, she defeated Albina Leschuk of Belarus (3-0) in semis and Alexsandra Riabinina of Russia in quarters with the identical score 3-0.